I could say I’m a translator today because of two chance meetings. The first one happened in Rome, in 1998, when I bumped into the woman who is now my wife. The following year, I decided to move to Badalona, near Barcelona, to be with her and I’ve lived here ever since. The second meeting came in 2001 in Barcelona. I’d been working as an English teacher and writer of educational materials until, one day, I bumped into an American called Pat Bones, who told me his main job was as an interpreter and translator, I told him translating was something I’d always wanted to try and he gave me encouragement and contacts. I started working and within two years had built up my business to the point where I was able to stop teaching and work at it full time. Of course, a lot of other things helped make me a translator. Even before moving to live near Barcelona, I’d started teaching myself Catalan and Spanish, and I’ve worked hard to improve my ability in those languages and understanding of them. Years before, I’d also studied French to the highest level possible in the English school system, and I’ve maintained my level, working in the language often and visiting France often. But translation isn’t just about knowledge of the source languages and I couldn’t have become a translator without ability as a writer of English. When I left university, I became a journalist and I spent almost 15 years working on English regional newspapers as a reporter, sub-editor, news editor and business correspondent. This experience has been vital to me in being able to produce clear, concise, grammatically accurate texts in English. Since I started translating in 2001, I’ve worked for all kinds of customers, both direct clients and agencies, mainly from Catalonia and Spain, but also from the UK, Germany, Belgium, France, Italy, the Czech Republic and the USA. Wanting to continue developing my business, in recent years I’ve taken courses on marketing for translators, translating art and the use of language corpora in translation. I also learned a great deal from the Traduemprende conference in Barcelona in 2013. 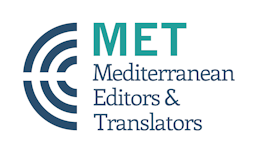 I’ve also joined the APTIC (Association of Professional Translators and Interpreters of Catalonia) and MET (Mediterranean Editors and Translators) organisations. As well as all this, I wanted to be able to demonstrate my translation ability with a formal qualification, and, for this reason, I took the Chartered Institute of Linguists’ Diploma in Translation in January 2014. I was delighted to pass with two merits and a distinction in the three papers, and I was subsequently accepted as a member of the CIoL in Spanish and Catalan and an associate member in French.